This unique quilt store in St. Jacobs, Ontario in Canada is where you will find an assortment of handmade quilted items. One quilt takes a fair amount of time to make and anybody that buys one of these handmade quilt pieces treasures it more as you appreciate the time and effort that was put into this artwork. Quilt shop, St. Jacobs, Ontario, North America, Canada. 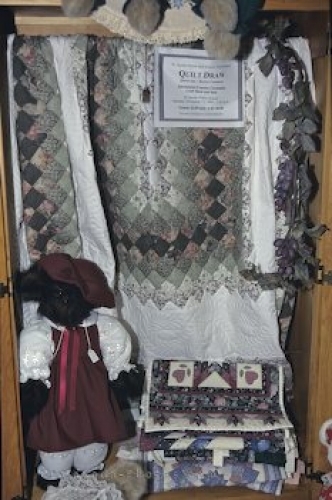 Picture of a quilt on display in a little store in St. Jacobs, Ontario in Canada.